This is a great kid-pleasing dish. 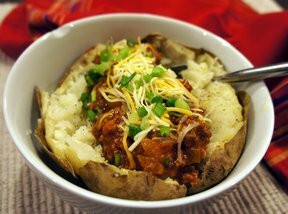 Turn your leftover chili into a great alternative. In a casserole dish, spread corn chips. Then layer with half of the chili and then half of the shredded cheese. 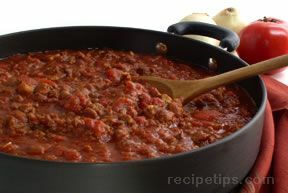 Repeat with remaining chili and cheese. 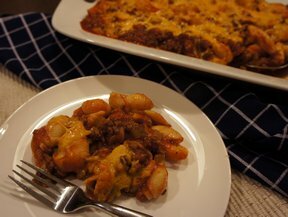 Bake for 15-20 minutes until cheese is melted and chili is bubbly. 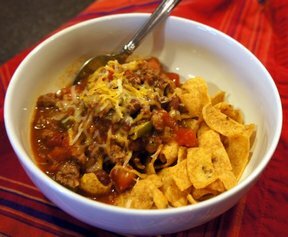 VARIATION: Just top a handful of corn chips with some chili, cheese and any other toppings of your choice. "One of my favorite meals! I like it not baked otherwise the corn chips get soggier than I like."